Then in 2004, Lucasfilm decided it was time to release the original trilogy on DVD. This time, however, only the SEs (reworked from the 1997 editions with 2004 technology) would be released. The fan uproar was intense and prolonged. People accused George Lucas of destroying history. Debates raged over changes like "Han shot first", "digital Jabba the Hutt", the full-monty Wampa shots and the changes to the end of Return of the Jedi. A compromise was reached in 2006 where the two disc set for each film would include its theatrical version, but in a non-anamorphic Laserdisc-derived transfer. 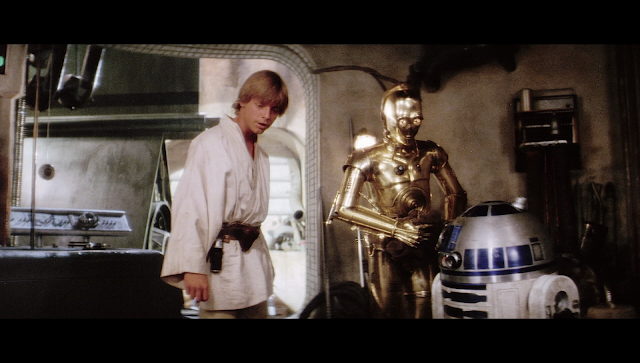 Only the special editions would include the anamorphic DVD enhancement and the restoration work. Then when the Blu-rays were released in 2011, more tinkering to the SEs were apparent, but the GOUT was totally MIA. As a result, the best official version of the GOUT today is the DVDs of non-anamorphic 1993 Laserdisc transfers, even after Lucas sold all his intellectual property to Disney in 2012. While the development of digital tools has made creating CGI creatures and inserting them into a film has progressed hand-in-hand with the advances in computing technology, so has the development of video editing software. The rise of professional Youtube personalities has been in no small part due to comparatively affordable and easy to use video editing software. Apple's Final Cut Pro, Adobe Premiere and MAGIX (previously Sony) Vegas are all very popular and powerful video editing software suites. One man, Petr "Harmy" Harmáček from the Czech Republic, decided to use his video editing skills to do something about the long desired wish of millions of fans for high quality versions of the GOUT. 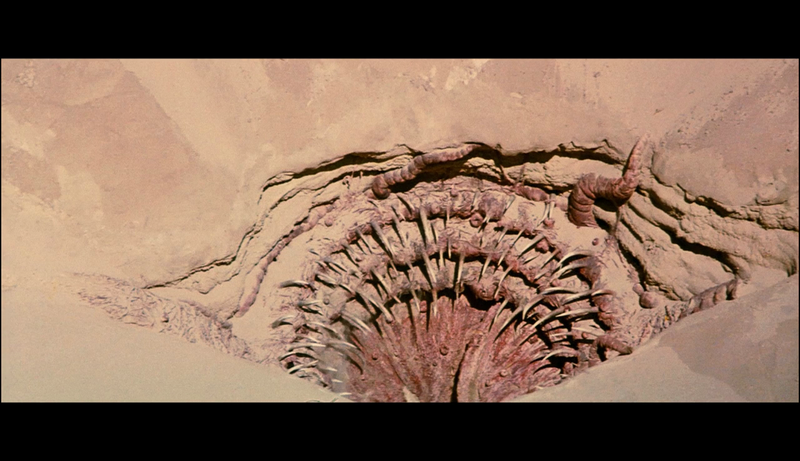 Fan-edits were nothing new, even when Harmy and his collaborators decided to try his luck, but unlike a fan-edit (the ones that minimize Jar-Jar Binks screen time in The Phantom Menace were popular), he would use what he could find to reconstruct the GOUT. Using a variety of sources, everything from the Laserdisc and DVD of the GOUT to the Blu-ray and even film scans, the result was the Star Wars Despecialized Editions. Each film has been carefully reconstructed to their original theatrical releases using the best sources available outside of Lucasfilm. Harmy released Star Wars Despecialized Edition 1.0 in 2011, but like any perfectionist, Harmy has not stood still and declared himself done with a definitive version. Each film has had incremental improvements and given version numbers. 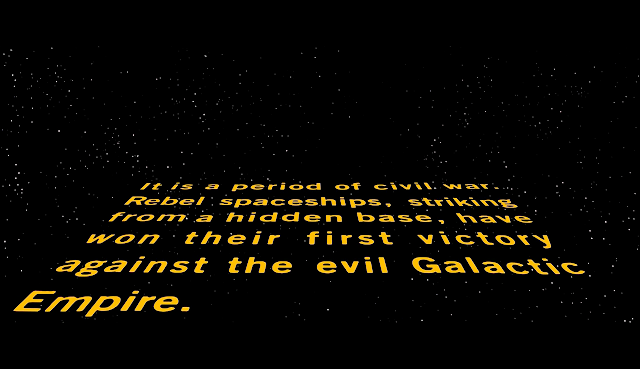 Currently, Star Wars (A New Hope) is at v2.7, The Empire Strikes Back at v2.0 and Return of the Jedi at v2.5. Harmy is working on a v2.5 of Empire and hopes to be able to do 3.0 versions of each film in the near future. Star Wars fans have been known for their deep pockets and incredible resources, but let us take a look at a smaller fandom, the Godzilla series! When I was growing up and first discovered this series in the late 1980s to the early 1990s, I had two sources available to me for watching Godzilla films. 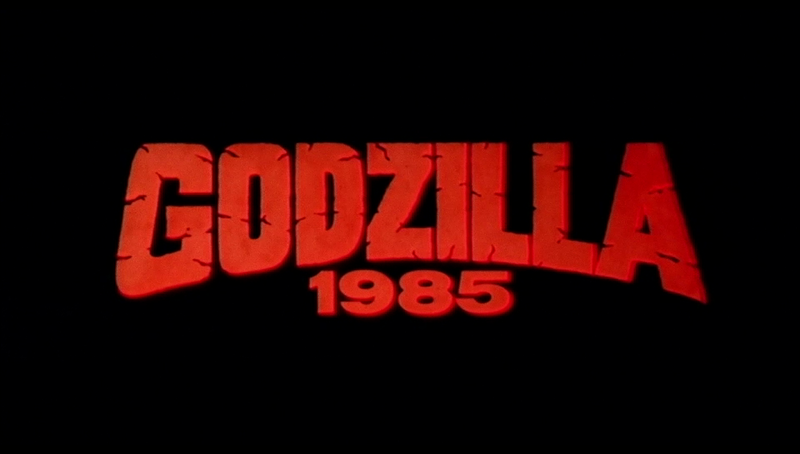 The first was TV, where Godzilla films were shown with maddening infrequency. The second was the video rental store, where I could rent VHS "tapes" of whatever the store had in stock. Between these two sources, there were many gaps in my Godzilla-film watching, and what I could not watch I supplemented with Ian Thorne's Godzilla book from Crestwood House. But what I had were Pan and Scan releases of the English theatrical releases of the Godzilla films, and for a while I was content. 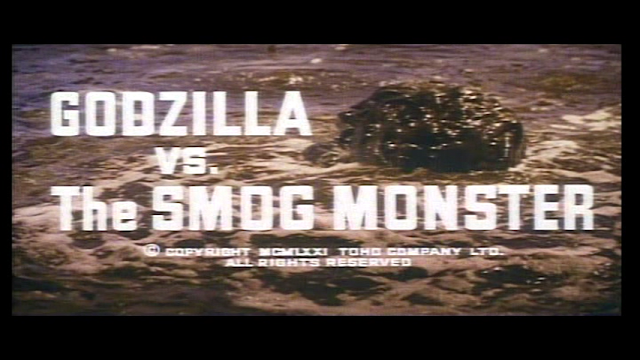 But in this period, the Toho films of the Heisei era post-Godzilla vs. Biollante were unavailable on home video. I read about these films through G-Fan Magazine and wanted to see them. Fortunately there was a Japanese comic book store & anime I discovered that sold bootleg but subtitled copies of Japanese VHS releases. 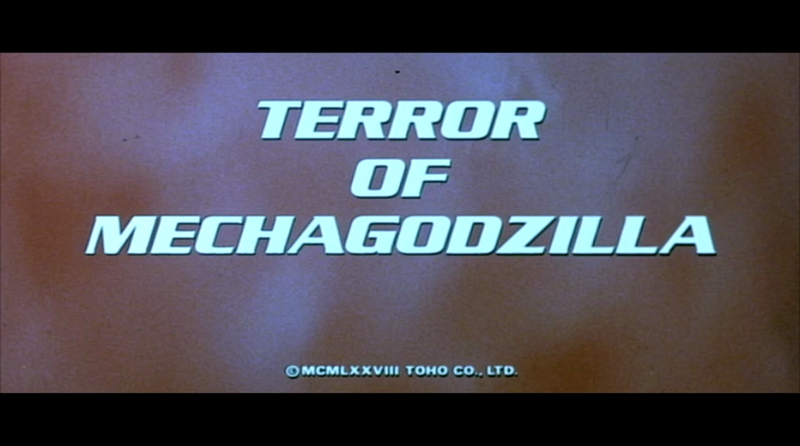 Eventually most of the Japanese original cuts of these films would find their way to DVD. 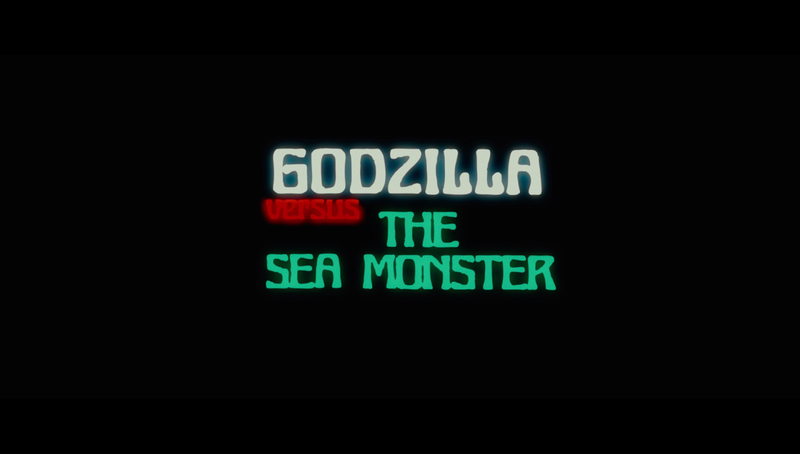 With the newer crop of DVD and later Blu-ray releases, the Godzilla films have looked better than ever before. 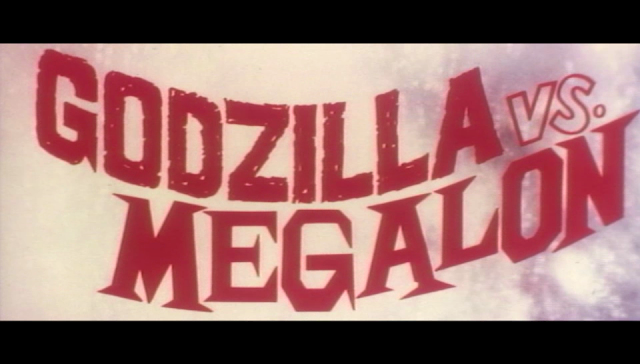 With one exception, (King Kong vs. Godzilla), you can hear the Japanese original voices and soundtrack for every film in the Godzilla series legitimately without having to buy pricey Japanese DVDs and Blu-rays. 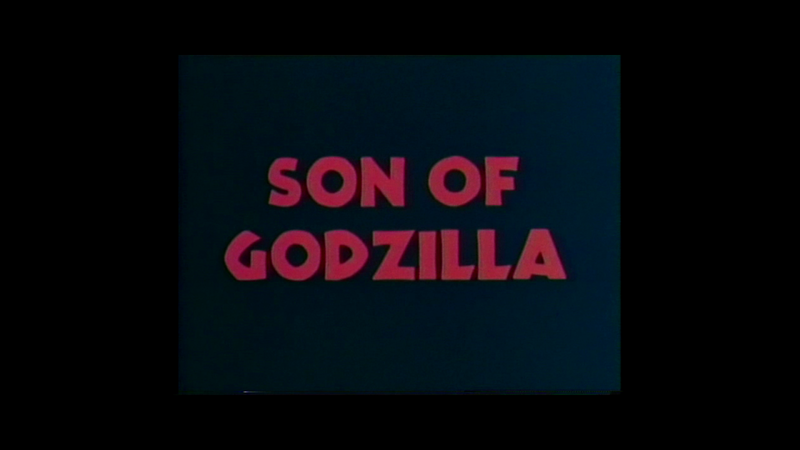 The versions available on DVD and Blu-ray may not be pure Japanese versions or pure International versions, and some may be out of print, but you can get a reasonably comprehensive overview of the Godzilla series from U.S. distributors without having to blow the down payment saved up for your next car. 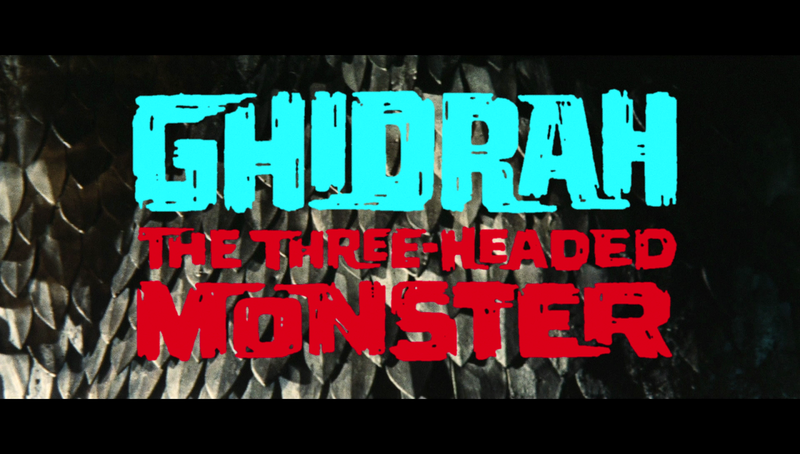 Ghidrah, the Three-Headed Monster (GtTTM) - U.S. Theatrical version reconstructed by Classic Media for DVD in 2006. 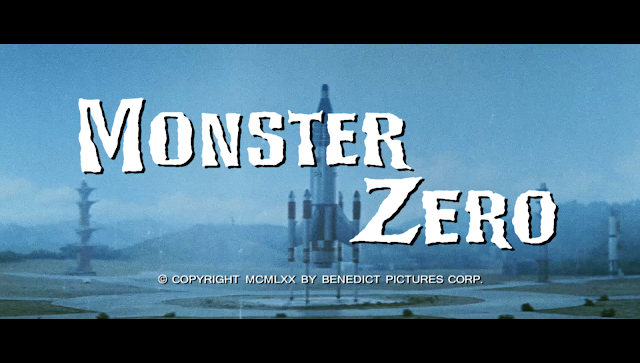 Monster Zero (MZ) - Released in a 2.35:1 ratio by Scimitar on a non-anamorphic DVD in 1998 and U.S. Theatrical version reconstructed by Classic Media for DVD in 2006. 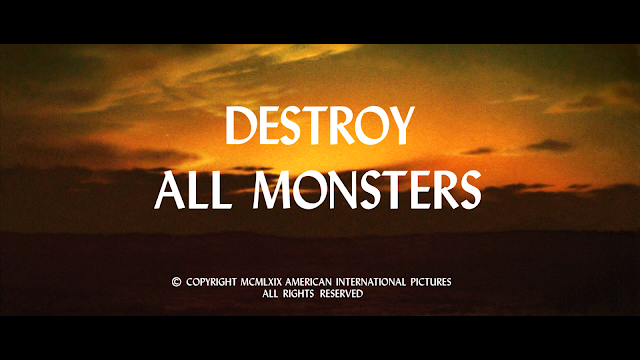 Destroy All Monsters (DAM) - U.S. Theatrical soundtrack synced to Japanese print on 2011 Media Blasters Blu-ray/DVD, removed from 2014 Media Blasters re-release. 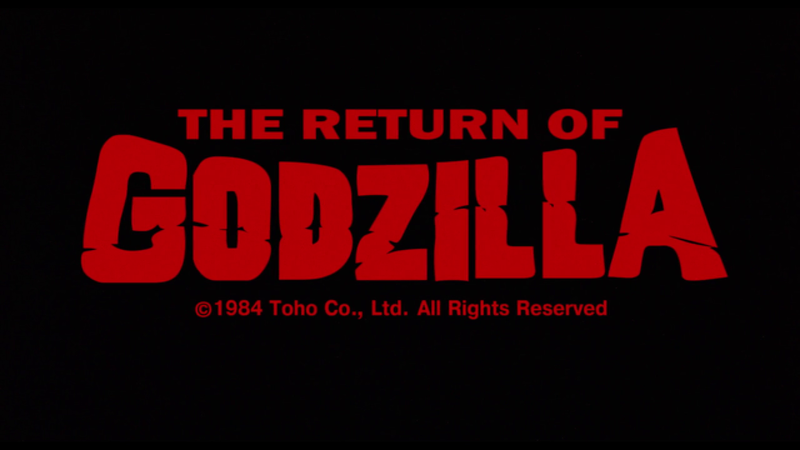 Godzilla's Revenge (GR) - Released in a 2.35:1 ratio by Scimitar on a non-anamorphic DVD in 1998 and U.S. 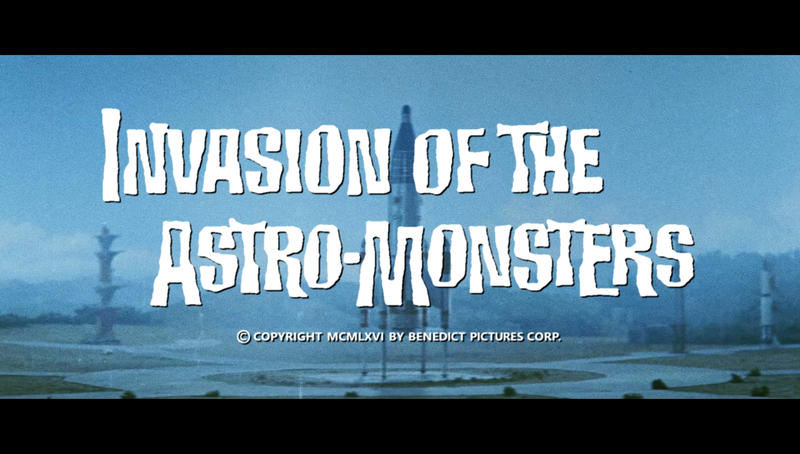 Theatrical version reconstructed by Classic Media for DVD in 2006. Godzilla 2000 (G2K) - U.S. Theatrical version available on DVD and Blu-ray, "THE?END" title removed. A U.S. Theatrical release always dubbed the film, but sometimes they would also add or change music cues (KKvG, GtTTM). Theatrical releases would come with their own title credits and sometimes would fail to give crew credits (GvSeM, SoG,GvM) or shift the credits from the beginning of the film to the end (DAM). A theatrical release could add in newly shot footage of U.S. actors (GKotM, KKvG, G98), shuffle around scenes (GKotM, GtTHM) or add shots of documents and maps in English (MZ, GvSmM). Many of the 1970s films were cut for violence or language to obtain a G rating (GoMI, GvM, GvtCM, ToG). Most U.S. theatrical versions cut a little or quite a bit of Japanese footage, but GvtT adds in a scene shot by Toho for western audiences and not included in the Japanese version. Toho approved the edits to G2K, which have been well-regarded. GKotM and KKvG do not need any kind of fan reconstruction, they are as pure as you can get for U.S. Theatrical releases. 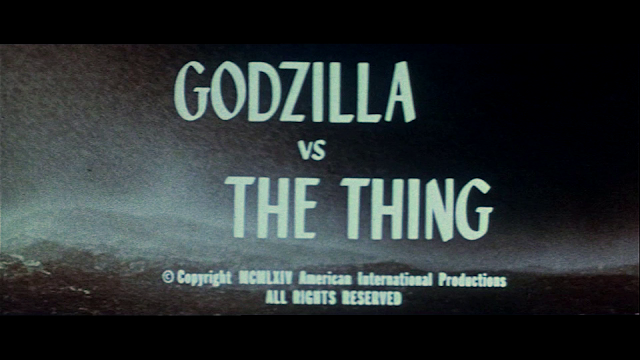 I could see a fan edit for GKotM to give it a "widescreen presentation" which would have been the way most people would have seen it in the theaters in 1956. This would require cropping the image to 1.85:1. 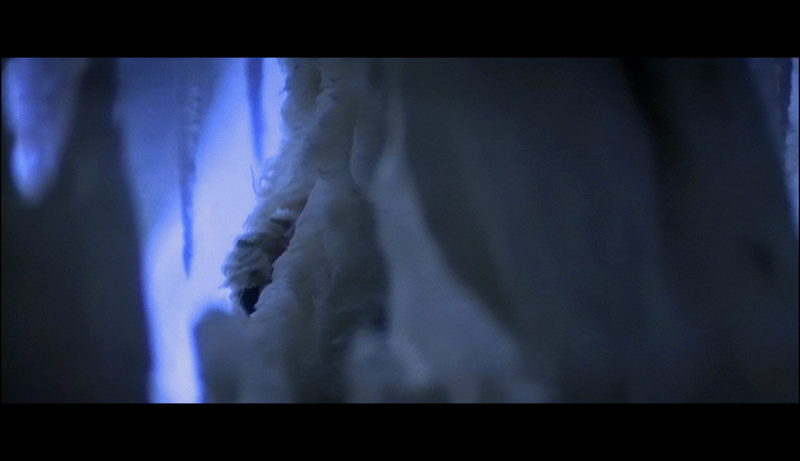 I could also see someone brightening up the image of KKvG's Blu-ray transfer, it is really dark for the night scenes. In some cases (GFM, G2K) the available versions have only minor edits compared to the original theatrical releases. GFM is in rough shape generally and the U.S. additions survive only on tape. You may think the situation is not so bad with the Classic Media 2006 DVDs, but they have issues. GvtT has a cropped image for reasons unknown and the picture quality leaves much to be desired. GtTHM, MZ, GR and ToMG are essentially reconstructions using Japanese sources for superior picture quality and other sources for U.S. additions. These additions are usually cropped or zoomed in and do not reflect the full camera print image. The ToMG TV prologue was cropped from 1.33:1 to 2.35:1, but it should be noted that this footage had already been panned and scanned, so it is doubly cropped. It is important to note that these versions had to share a DVD with the Japanese versions, so the bitrate is less than it could have been. While many of the classic Godzilla series have been released on Blu-ray, the presentations may be lacking. GvtSM and SoG's TV versions had dubbing from Titra Sound using professional voice actors. 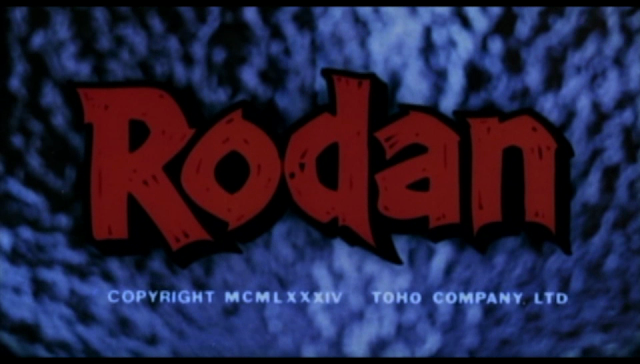 The English-language track found on the DVDs and Blu-ray of these films uses the International version dubbing from Frontier Enterprises in Tokyo, which only had amateurs to voice the roles. DAM and GvSM also had quality dubs from Titan Sound (renamed from Titra), but the dubs found on the DVDs and Blu-rays are from Frontier and Hong Kong respectively. Hong Kong dubs have something of a poor reputation given the harsh version of the mid-Atlantic accent used, but have become more appreciated over time. Titra/Titan's dubs are considered first class by many because they tried to match lip movements and to use Asian-sounding accents when appropriate. Unlike the Star Wars films, where Harmy and his fellow reconstructionists could obtain scans of 16, 35 and even 70mm (blow-up) prints from private collectors, non-professional Godzilla reconstructions have had to make do with what had been previously transferred to video. 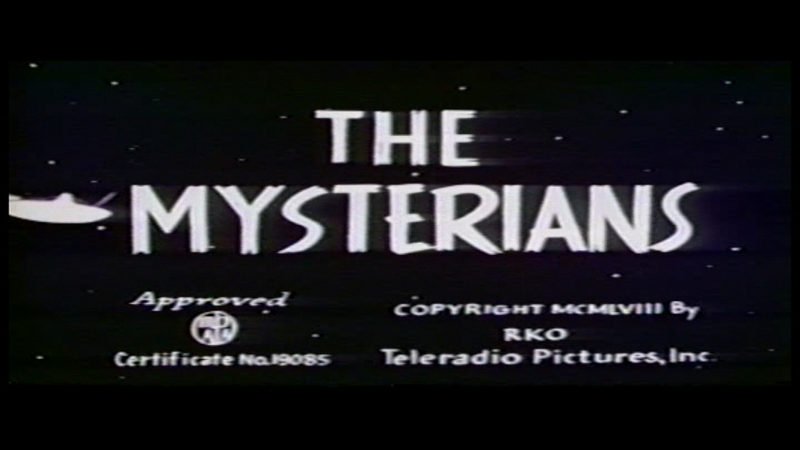 Some restorers have recreated titles where they could not find ones with sufficient quality. The best quality reconstructions will use Blu-ray material, even from the Japanese version, wherever possible. This of course assumes that the author of the reconstruction has a Blu-ray or wishes to distribute a much larger file than a DVD-sized version. Making a reconstruction is thus not unlike sewing together a patchwork quilt. 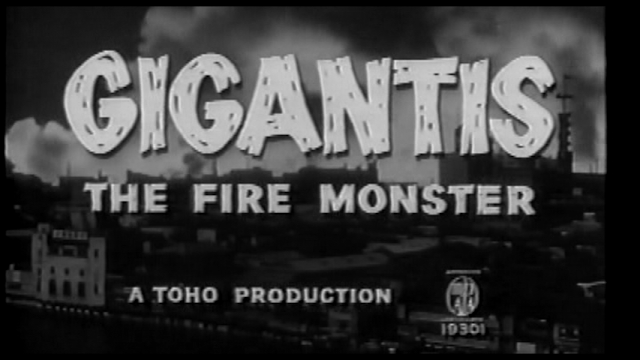 Often times title credits will need to be recreated by airbrushing out Japanese credits and modifying an existing typeface to match the look of the original U.S. credits. The soundtrack source, which may come from a VHS release, will have to be carefully restored as much as possible and synchronized to a film scan taken from a DVD or Blu-ray source. English-language inserts like newspapers will have to be edited in. U.S. distributor logos will have to be taken from other sources. United Productions of America/Benedict Pictures Corp/Toho Co. Ltd. Versions in green have their title card included in this blog entry. I have included links to the relevant thread of the Toho Kingdom or OriginalTrilogy forum discussing the reconstruction at issue. Unfortunately many of the other reconstructions are available only on a certain private torrent tracker site, so their availability is rather limited. Hi, my name's Servanov, and on TK I've also made an HD reconstruction of The Return of Godzilla Export version (called the EOST version) in case you wanna add that to this list. Thanks!